Anyone else think there is something fishy going on with Notre Dame and the missing Big Ten? 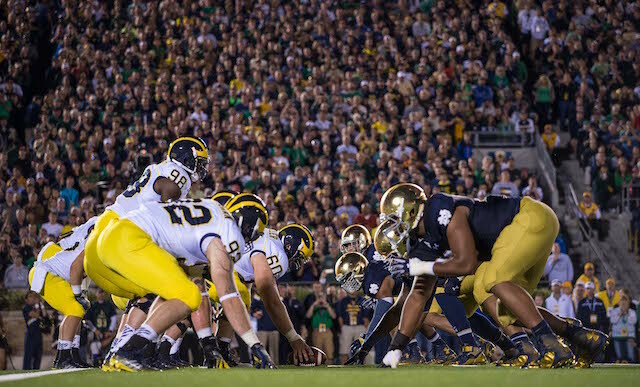 Have you looked at Notre Dame's 2015 schedule? There's something weird about it. There's no Michigan. In fact, not a single team from the Big Ten is to be found on it. Given Notre Dame's location, and the fact it has three long-running rivalries with Michigan, Michigan State and Purdue, it seems somewhat sacriligious.